UPDATE: Shooting took place inside a homeless shelter where suspect had fled after crashing a reported stolen vehicle. Police shot and killed a man who crashed a stolen car in Southeast Portland Saturday night. The shooting took place inside a homeless shelter. The name of the adult male suspect was not immediately released. No officers were injured in the incident. Those involved in the shooting are on administrative leave, which is police policy. Their names were not immediately released. Police say that at 7:30 p.m. on April 7, Central Precinct, Transit Division and Gang Enforcement Team officers responded to a reported crash involving a stolen vehicle at Southeast Martin Luther King Jr. Boulevard and Southeast Stark Street. As officers responded to the crashed vehicle, they learned the driver fled. Information was also broadcast that East Precinct officers had taken a report that the crashed A silver Honda CRV been taken by force from the 7500 block of Southeast Knight Street at 4:35 p.m on Saturday. When officers arrived in the area, they searched for the suspect that had fled the scene of the crash. During the search, officers located the suspect inside the Cityteam Ministries Portland Shelter, located at 526 Southeast Grand Avenue. As officers contacted the adult male suspect, shots were fired. Officers immediately requested emergency medical personnel respond to the scene. Once on scene, emergency medical responders determined the suspect was deceased. 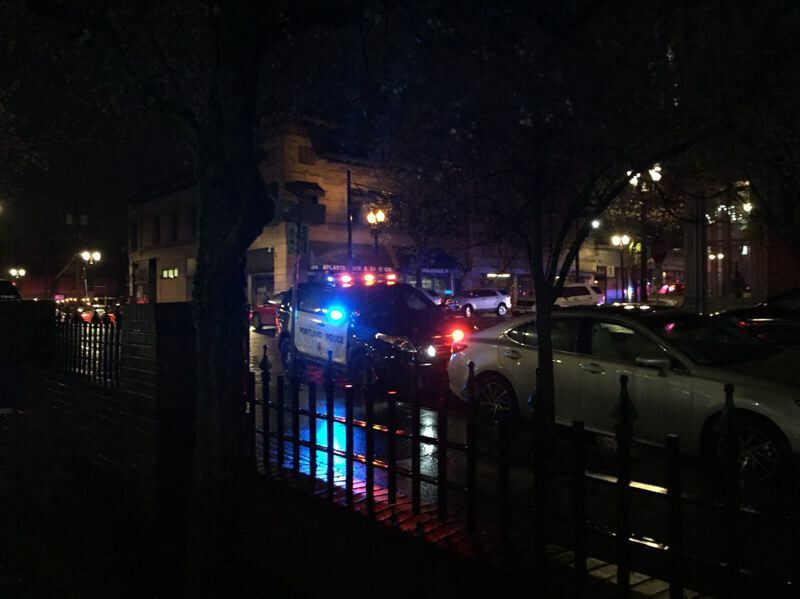 Portland Police Homicide Detectives, assisted by the East County Major Crimes Team and Multnomah County District Attorney's Office, responded to continue the investigation. According to police, he officers will be interviewed by investigators within 48 hours. As part of the use of force review process, the Portland Police Bureau Bureau will conduct an internal review of the entire incident and the case will go before the Police Review Board (PRB), which is comprised of community members, Bureau members and representatives from the Independent Police Review Division. Evidence will be presented to a grand jury, which is standard practice. KOIN 6 News is a news partner of the Portland Tribune and contributed to this story. You can follow their coverage at http://www.koin.com.